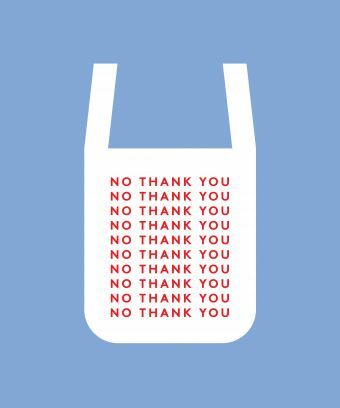 9 ways to be plastic-free! One of our missions as a business was to create minimal impact to the coastal environments that we all love, and our first thought was “let’s be single-use plastic-free”. From producing our Swimwear + Island Essentials collections in Bali, all the way through the process to shipping your order to you. We are single-use plastic-free and we thank you so much if you choose to support us because of this! Say “No, thanks” to plastic straws, even in restaurants. If a straw is a must, purchase a reusable bamboo, stainless steel or glass straw and keep it in your bag when you go out (ps. They look cute in your drink too). Use a reusable produce bag (like our ‘Tide’ Bag). A single plastic bag can take 1,000+ years to degrade and looks exactly like a jellyfish to hungry sea turtles. Give up chewing gum. Gum is made of a synthetic rubber, aka plastic. Buy boxes instead of bottles. Often, products like laundry detergent come in cardboard which is more easily recycled than plastic. Purchase food, like cereal, pasta, rice, nuts, seeds and dried fruits from bulk bins and fill a reusable bag or container. You save money and unnecessary packaging. Reuse containers for storing leftovers or shopping in bulk. Carry and use a reusable water bottle or keep-cup for your coffee, even when ordering from a to-go shop. Make fresh squeezed juice or eat fruit instead of buying juice in plastic bottles. It's fun and healthier too because there are no nasties added if you juice it fresh yourself. Use a razor with replaceable blades instead of a disposable razor. Pop-Up Shop at JuneShine Co.